As a boy, I often remember seeing “Kilroy was here” crudely written on interstate overpasses, restroom walls, and desks. This American cultural expression traces its roots back to World War II, when this graffiti began to appear almost anywhere that our troops had passed. Last year, Kentucky Baptists left their mark in the streets of New York City, the Black Forest of Colorado, the tattered remains of a school in Oklahoma, a flooded church in Kentucky, areas of Illinois and Michigan with little evangelical presence, and a forgotten corner of war-torn Mali. The imprint of “Kentucky Baptists were here” was scrawled by the hands of Kentucky Baptist Disaster Relief, as volunteers came alongside those left devastated by disasters. 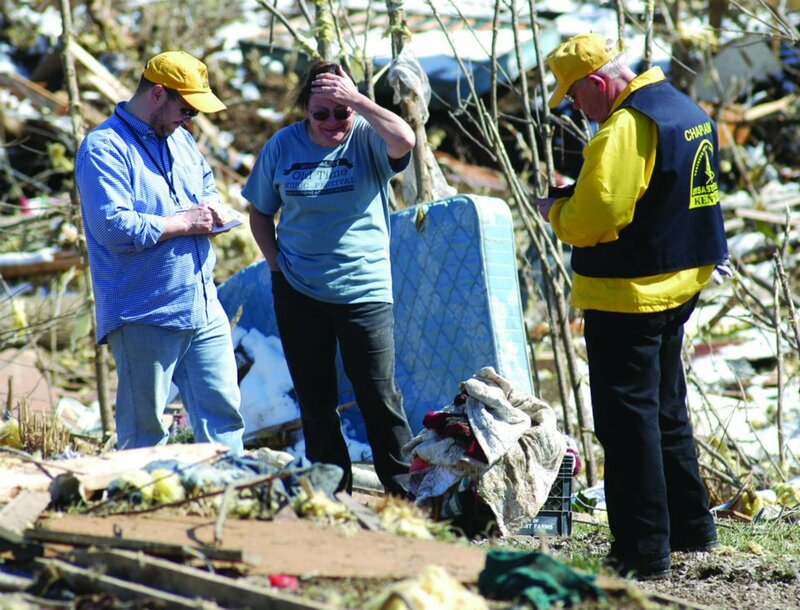 Your gifts to the Cooperative Program and to our state mission offering provide the resources that make it possible for Kentucky Baptist Disaster Relief to respond to the heartbreak of disasters and to bring help, healing, and hope to hurting people. “You were there” as you gave to missions, prayed for our ministry, and sent us as Kentucky Baptist Disaster Relief volunteers to offer the compassion of our Lord.